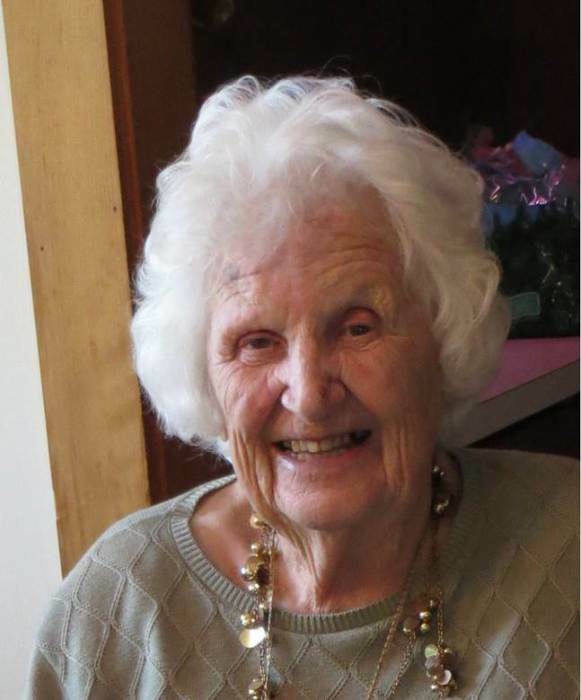 Ann G. Johnson, 97, of Westborough passed away peacefully on Saturday, January 12, 2019 at Beaumont Skilled Nursing Center after a brief illness. She was born on July 20, 1921, in Marlborough, MA., the daughter of Michael Lawrence Dolan and Annie V. Brigham. She grew up in Marlborough and was educated in the Marlborough schools. She often shared fond memories of growing up on Maplewood Avenue with her brothers and sister, Gerald, Donald, and Catherine Dolan, all of whom predeceased her. Ann married her, husband, Elmer Johnson in 1948. Together they built their home in Westborough, where she lived for the rest of her life. Her husband preceded her in death after 42 years of marriage in 1990. Ann loved gardening, flowers, golfing and was a faithful Red Sox fan. She watched every game and was able to celebrate their World Series victory in 2018. She also loved books and was an avid reader. When her eye sight began to fail she was able to keep her mind active by listening to records books provided by the Perkins Library for the blind. Ann is survived by three sons, Robert Johnson and his wife, Constance, of Sterling, MA, Richard Johnson and his wife, Rosemary, of Monson, MA and Raymond Johnson of West Boylston, MA., as well as five grandchildren, Derick Johnson, Jennifer Johnson, Benjamin Johnson, Laura Johnson and Jeremy Johnson. She was predeceased by a granddaughter, Melissa Johnson. Ann was able to stay active, independent and in her home with the help and companionship of her great granddaughter Jamie Yates. Honoring Ann’s wishes services and interment will be private. For those wishing to honor her memory, donations may be made to the Westborough Senior Center, 4 Rogers Road, Westborough, MA 01581.